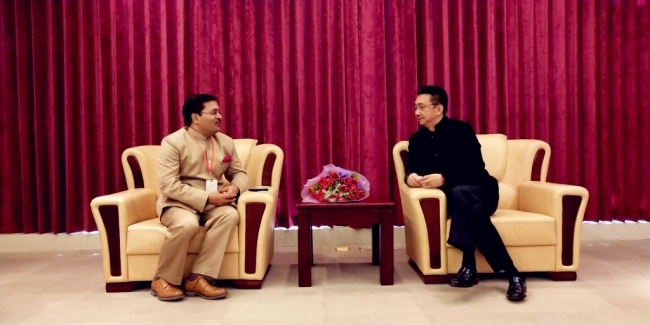 Consul General Mr. Anil Kumar Rai met Mr. Lin Qiang, President, Shanghai Diamond Exchange, on January 9, 2018 to discuss ways and means to enhance import of diamond from India to China. 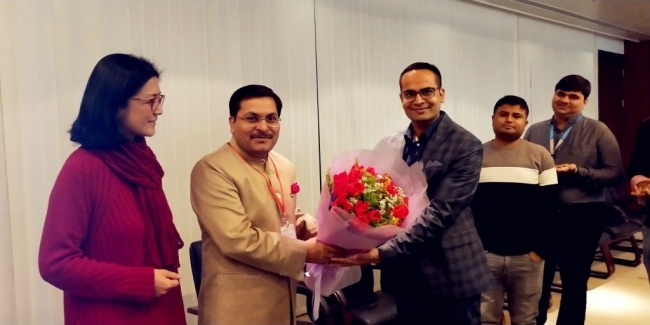 Consul General also highlighted the concerns of the Indian Diamond Merchants working at Shanghai Diamond Exchange (SDE). 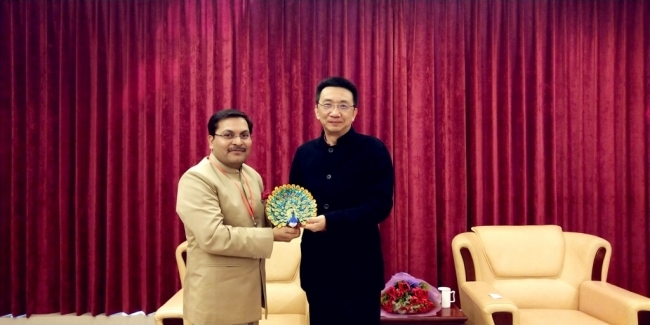 President Mr. Lin mentioned that there exists huge potential of growth of the trade of diamond between India and China and assured of looking into the concerns and working out of an amicable solution to all the issues. 2. 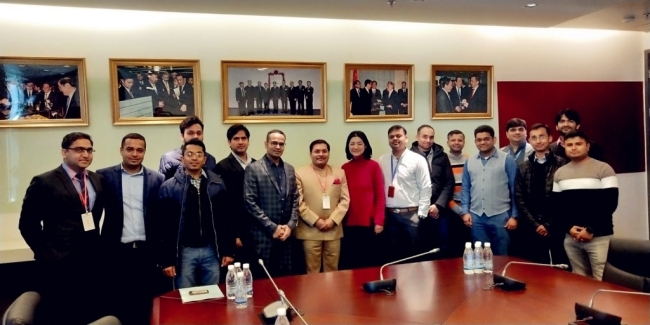 Earlier, before meeting with the President Mr. Lin, Consul General interacted with nearly 20 Indian diamond merchants working out of the SDE who shared their insights on their operations at SDE. 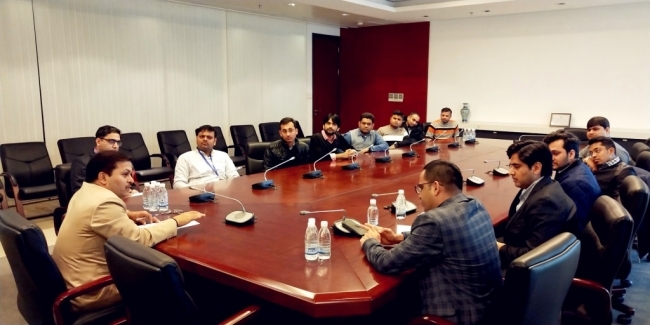 It may be noted that Indian diamond traders form the largest group of foreign traders registered at SDE.